We have partnered with Atlanta Magazine and their fabulous blog, ATL Intel, to start a new Atlanta Social Calendar. In the past, we have all tried to keep up with upcoming social events using Seasons Magazine and Facebook. Now, if you need something to do this weekend, just go to ATL Intel and click on the social datebook. For all you party planners out there, it’s very simple to add your event to the datebook. Click on the bottom of the datebook where it says “browse the full social datebook” and click the “submit your event” tab. For your event to be eligible, the event must have a philanthropic component (such as benefiting a non-profit) and must be open to the public (for example, tickets or sponsorships should be available for purchase). You also have to be an Atlanta Magazine Insider to be eligible. Hope to see the calendar full of fun and wonderful parties!! 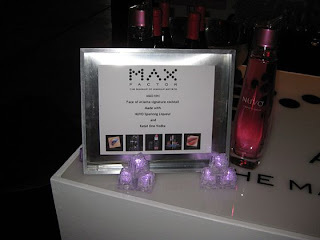 This entry was posted in A Legendary Event, ATL Intel, atlanta magazine, Seasons Magazine, Social Datebook. Bookmark the permalink.